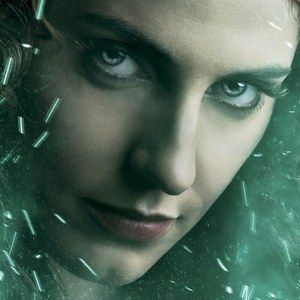 Antje Traue, who currently stars as Faora in Man of Steel, takes on a bewitching role in Seventh Son, as seen in the latest Comic-Con 2013 character poster. Director Sergey Bodrov's fantasy adaptation, based on Joseph Delaney's book, will be on display during the Warner Bros. and Legendary Entertainment panel on Friday, July 19 at 10:45 AM in Hall H. Stay tuned for more one-sheets, along with our coverage from the panel later this week. "From Kryptonian Subcommander to powerful witch... @ManofSteelMovie's Antje Traue in #SeventhSon. #ComicCon #SDCC pic.twitter.com/b1i9U1RdoT"